Barnsley defender James Bree has agreed a three-year deal, with the option of a fourth, with Aston Villa. The two clubs have agreed a fee, around £3m, for the promising right-back. Villa scout Richard Hill watched on from the Oakwell stands at the Leeds United match last weekend. The move will see Bree earn much more than Barnsley could offer him to stay at the club - where he came through the ranks. He is the third defender to come through the academy at Oakwell and secure himself a big-money move away from the club. He follows in the footsteps of John Stones, now at Manchester City, and Mason Holgate - who both moved to Everton in recent years. Centre-back Alfie Mawson also reached the bright lights of the Premier League after a £5m move to Swansea City in the summer. 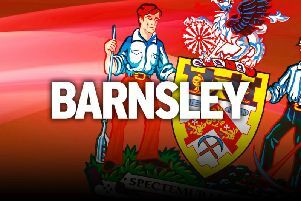 Much like the deal that took Stones to Everton, and yielded an extra £7m, Barnsley will likely have a sell-on clause in the contract for Bree’s move. Bree will be the second player, after Sam Winnall’s shock move to Sheffield Wednesday, who helped the Reds to play-off promotion to leave the club in January. On the incoming front, the Reds have enquired about loaning 21-year-old Connor Randall from Liverpool as a replacement for Bree. The player has been told he can go out on loan and find first-team football by manager Jurgen Klopp, and he could join up with winger Ryan Kent at Oakwell. He is also on the radar of Preston North End, so Paul Heckingbottom will have a job on his hands to get the deal over the line. Captain Conor Hourihane is also on the verge of following Bree to Villa Park. The deal to take the Irishman away from Yorkshire looks to also be around the £3million mark, with a £28,000-a-week contract waiting for him. Just like Bree, Hourihane is another whose contract expires at the end of the season. Speculation surrounding his future has been rife and Villa look to have beaten off a number of clubs to secure his signature.